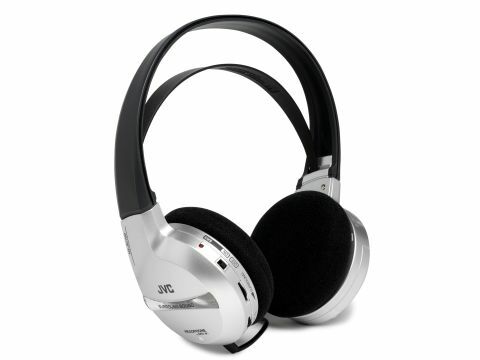 This pair of wired surround headphones may look a little weird, but JVC's HA-SU700s are certainly affordable. To say that they look cheap is a little unfair, and for £50 we shouldn't criticise. But the styling isn't the best and they feel a bit plasticky when compared with more costly models. They're also not the most comfortable models to wear, and the 7m long cord can be a bit of hindrance if you want to move freely around the room. SRS surround processing is built in, and there's a control on the left earpiece to allow you to adjust the effect level to your taste. The surround sound experience is unimpressive though, and creates an unnatural spatial effect that is not altogether convincing with movie soundtracks. But the JVC's wired simplicity is actually its biggest strength, and there are no problems with interference from other bits of kit. Stereo sonic qualities are extremely good, but if you're looking for a more believable surround sound sense, this won't be the best choice.